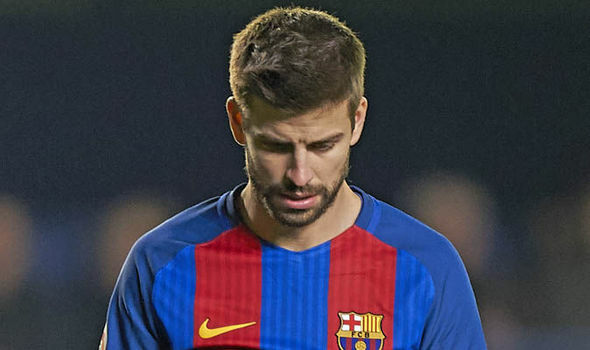 LaLiga champions FC Barcelona suffered their first defeat of the season, after going down 2-1 to Leganes on Wednesday evening. Philippe Coutinho and Ivan Rakitic returned to the line-up after starting on the bench over the weekend. The decision paid off for Ernesto Valverde, as Coutinho put Barca ahead after 12 minutes with a superb volley that sailed into the bottom corner. Lionel Messi almost doubled the lead minutes later, but the Argentine saw his curling effort crash against the crossbar with the goalkeeper well beaten. After a lull in the half, Marc-Andre Ter Stegen was called upon before the break as he produced two good saves in the final five minutes to deny Youssef En-Neysri and Oscar Rodriguez. The game turned on it's in the 51st minute when Nabil El Zhar got ahead of Thomas Vermaelen and powered home a header from close range. Leganes then took the lead two minutes later as Pique's poor clearance landed at the feet of Oscar Rodriguez, who fired home with only Ter Stegen to beat. Valverde responded with a double substitution, as Ousmane Dembele and Vermaelen made way for Jordi Alba and Malcom for the 20 minutes of the game. Leganes goalkeeper Iván Cuéllar ensured the hosts walked away with three points, as he pulled off a couple crucial saves to deny Coutinho and Rakitic in the final 10 minutes.